divisions of the company: "Spectape of Texas (“Spectape”) and Insul-Fab." Empowering Industry Across the Globe. If you make products or equipment that must stand up to real world conditions, we can help you make them smarter, quieter and more efficient. As a global supplier of precision fabricated thermal and acoustical materials, Concote manufactures and distributes foam, fiberglass, plastics and adhesives with an eye towards maximizing efficiency, performance and durability. Spectape is a distributorship, reselling and converting industrial packaging tapes, packaging materials and other specialty items predominantly involving pressure sensitive adhesive systems. Insul-Fab is a manufacturer and converter of foam goods, rubber products, fiberglass, plastics, adhesives and other composite materials which serve primarily as acoustic, thermal and electrical barriers and insulators. All of Insul-Fab’s products are made to customer-specification. Video Details: Shelby Ricketts, President and CEO of Concote Corporation, describes Concote's business operations. 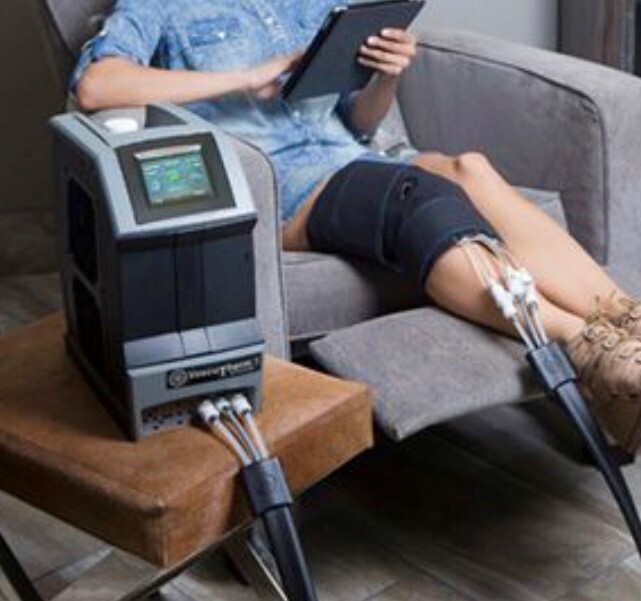 Insul-Fab has recently made major investments and upgrades to its Radio-Frequency (“RF”) Sealing capabilities in order to produce a leading-edge thermal wrap for patient rehabilitation. The wraps provide compression and thermal management for rehabilitation of common soft-tissue injuries such as sprains by inflating and circulating chilled water through the wrap, without the need for ice. The wraps themselves are made from a combination of nylons and ether films, which must be sealed around polyurethane tubing to provide an airtight and watertight seal. RF sealing provides a high strength bond, which is flexible, but highly durable and leak resistant. 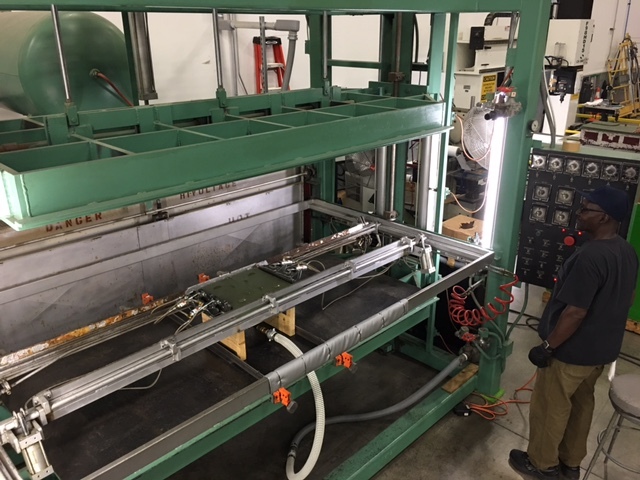 It requires the maintenance of special RF sealing machinery, the ability to manufacture and calibrate precision, hard-tooling, as well as the capability to test each part for tensile strength and leak-resistance. Insul-Fab’s RF line can seal a variety of vinyls and nylons for use in a wide variety of applications, from flexible noise enclosures to flexible wraps for industrial bladders or medical wraps. 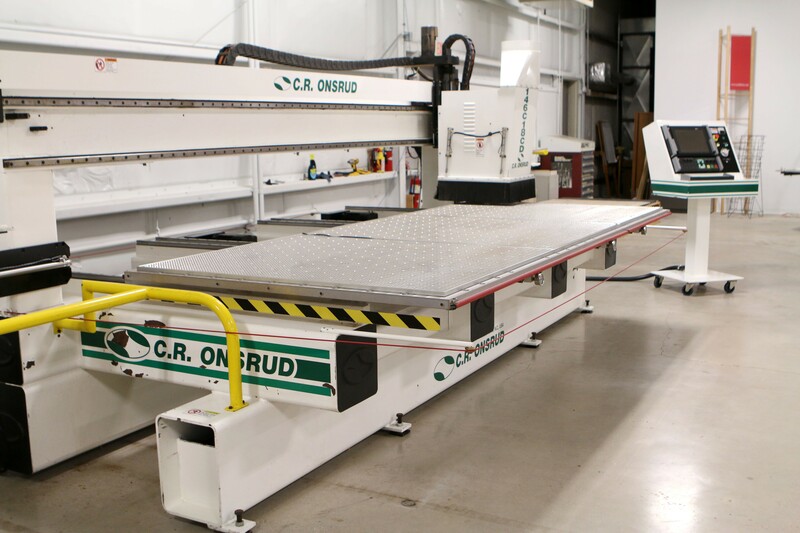 Insul-Fab has recently added a new dual-head, fixed bridge 5-Axis Router to its CNC Machining center. The speed, efficiency, and precision gained from automated manufacturing can now be matched by few in the industry. This is due to enhanced speed and dual-head capability, allowing Insul-Fab to produce dual cuts for each pass. The new heavy duty, cast iron 5-Axis router, manufactured by C.R. Onsrud, also adds redundancy to Insul-Fab’s current 5-Axis and 3-Axis routing lines. Insul-Fab is a leading fabricator in its ability to CNC cut a wide variety of materials including plastics routing, composite machining, panel processing, aluminum and alloy milling, carbon fiber routing and graphite machining. Many of the parts are trimmed as panels or from vacuum molded or thermo-formed parts, which are used in HVAC, defense, aerosspace, transportation and general industrial markets. Insul-Fab embraced the ISO 9001 Quality Standard in 2008. Since that time, it has made major commitments to continually improving its Quality System, including investing in an Advanced Quality Software system from IQS, Inc. Most recently, Insul-Fab updated its Quality System to AS 9100D, the latest revision of the Aerospace and Defense Quality Standard. The AS 9100D revision incorporates the concepts contained in the ISO 9001 standard, but enhances the level of compliance to meet the exacting requirements of the aerospace and defense industries, which ultimately benefits all customers. For more Concote Corporation News click here to visit our News page.